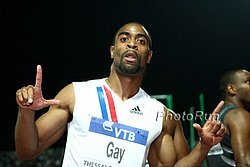 "Behind the warm and respectful applause for Tyson Gay at last Saturday's Jamaica Invitational, there was tangible concern." - Intro to Jamaican Gleaner article by Hubert Lawrence talking about the World-leading 9.86 second 100m Tyson Gay ran last weekend at the Jamaican Invitational. 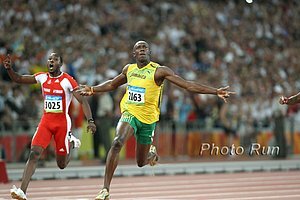 We're sure that Usain Bolt's less than impressive 10.09 opener didn't do much to lessen that concern. 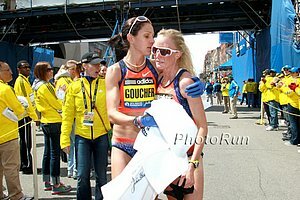 Abbey D'Agostino, Kim Smith & Molly Huddle @ New Balance Boston Twilight! 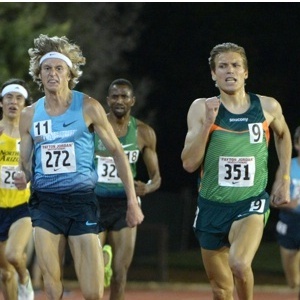 Elite Fields Set For Today's Medtronic Twin Cities Mile Men's side is led by Nick Willis, Will Leer, Boaz Lalang and Garrett Heath while the women's field includes Phoebe Wright, Sarah Brown, Heather Kampf, Gen LaCaze and Jamie Cheever. 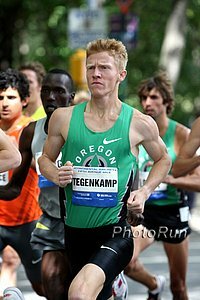 Saturday: RunnerSpace Q&A With Matt Tegenkamp Who's Prepping For The US 25k Champs This Weekend Teg says he'll be on the roads a lot more often this year, but doesn't mean "track is out of the question". 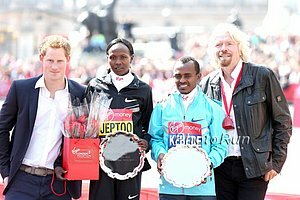 Sunday: Japan World Championships Marathoners Yuki Kawauchi And Mizuki Noguchi Headline Sendai Half MarathonThey'll face defending champion Johana Maina (1:01:28), sub-60 man Mekubo Mogusu and 2012 Fukuoka Marathon winner Joseph Gitau (1:01:19). Pac-12: Ken Goe: UO Men Are Heavy Favorites To Repeat As Pac-12 Champions; The Women Could Be In Trouble On the women's size Arizona is favorite with UO and Arizona State also in the mix. 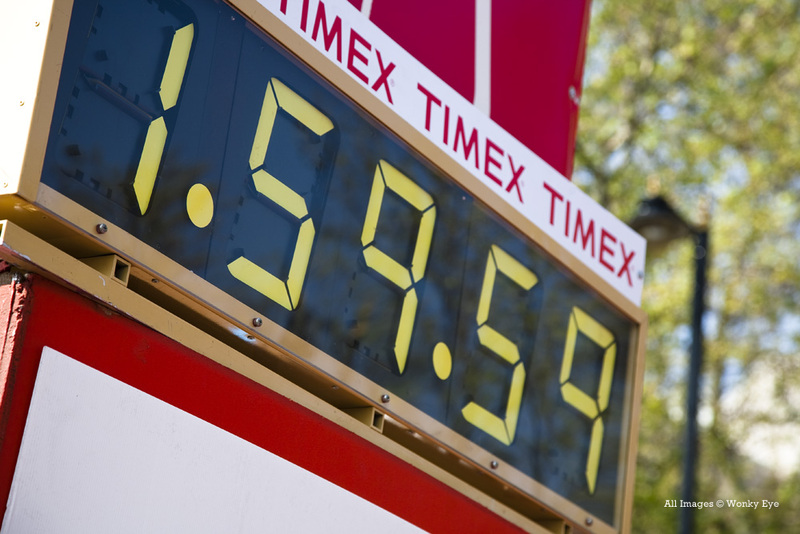 *Meet Site *Meet Schedule: Starts Saturday Replay on Pac-12 network Wednesday May 15th at 9PM ET. 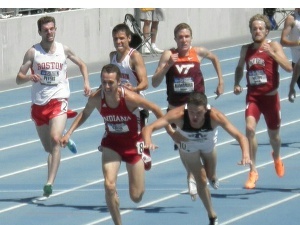 LRC Who Says The Track Sars Avoid Each Other? 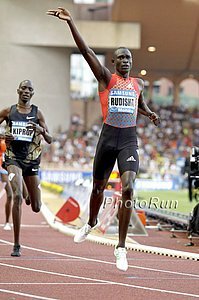 2013 DL Kicks Off In Style: Rudisha Vs. Aman, Kiprop Vs. Kiplagat, Aregawi Vs. Dibaba Plus Hagos Gebrhiwet The 2013 Diamond League season will get under way on Friday with some truly incredible mid-d and distance action. 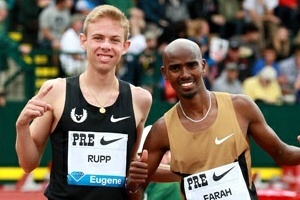 The world's two best pre-Olympic male and female 1,500 runners will clash. 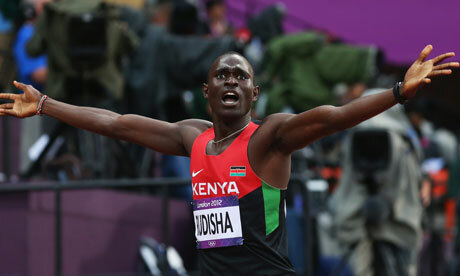 David Rudisha will try to avenge his season-ending loss to Mo Aman and the great Hagos Gebrhiwet will open up outdoors in his last race as an 18-year-old. 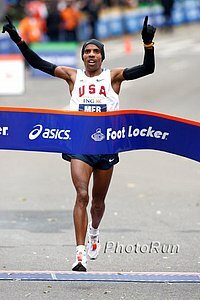 If he wins convincingly, Mo Farah's days on top may be numbered. Sally Person Leads Aussie 4x100 To Easy Victory At Chonburi, Thailand Asian GP Series Meet They ran 44.06, just missing World Championships qualification standard by .06. *Jamaican Gleaner: "Behind the warm and respectful applause for Tyson Gay at last Saturday's Jamaica Invitational, there was tangible concern." Maurice Greene Takes A Shot At Current US Sprinters Saying They're Way Behind Jamaica Because They Don't Work Hard Enough Greene: "Especially in America, the athletes expect it to come a lot easier than it is, and that's wrong. They never see all the hard work that we put into it, they just saw us performing and people loving us and I think that's what's wrong with US sprinting today." Japanese Jr. Sprinter Yoshihide Kiryu Says His Goal For The Season Is 9.96 He just needs to take .01 off his 10.01 to own the World Jr. record. European 110H Champ Sergey Shubenkov Gets Surprise Visit From Former WR Holder Colin Jackson At His Trainign Base In Siberia, Russia Shubenkov: "This is mad. You are mad to have come all the way to Siberia just to see me!? This is unbelievable." 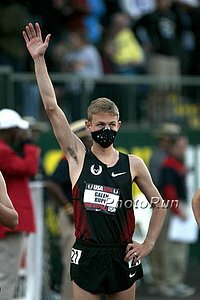 One We Missed From The Weekend: Lukas Verzbicas Ran A 14:53 5000 After 4:11 1500 At Occidental Meet We mentioned the 4:11 1,500, but according to the schedule the 5k was later that night about 6 hours later. 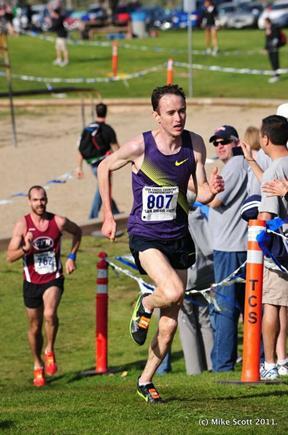 The 5k is obviously a much better result, especially considering last month he only ran 15:22 at Carlsbad. Recently Appointed ASA Administrator Zola Majavu Says They Have A Long Road Ahead "The picture with regards to finances is far from rosy."